A bonus find after an oldie west of Hinton. 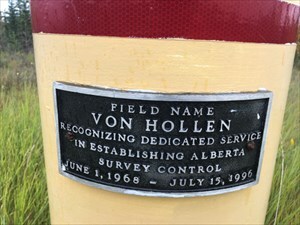 Cool to see it as a concrete pillar in homage to a surveyor! Thanks for another brass cap!